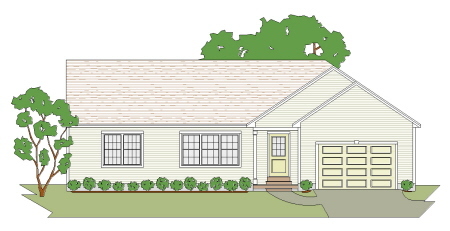 This 2 bedroom small country ranch home plan is ideal for retirement on a budget. 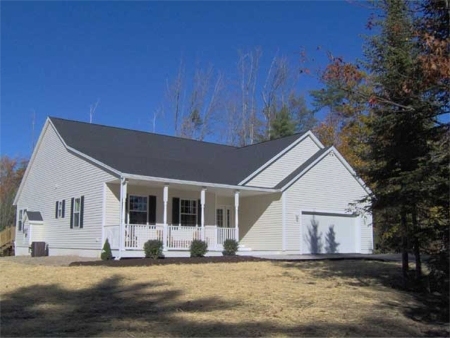 It has an open concept floor plan, handicap bath, carport and storage shed. This home is on a frost wall with an insulated slab. 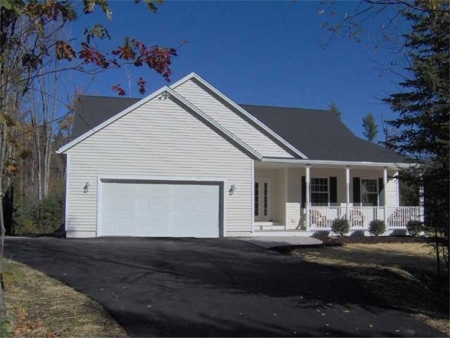 This is the same open concept 2 bedroom retirement style ranch home plan floor plan as the Addison but it has an added sun room or den. It has the same open concept, handicap bath, carport and storage shed. This home is also on a frost wall with an insulated slab. 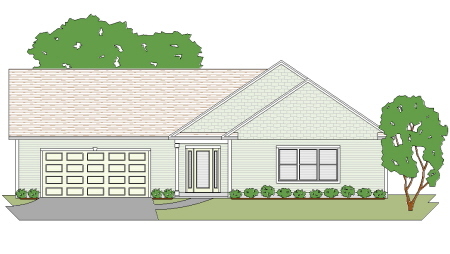 This 2 bedroom retirement style ranch home plan has a cute curb appeal and is affordable to build. As with most of our ranch plans the open concept makes it feel larger than it is. This plan has a basement with the entrance from the garage which eliminates a messy bulkhead. The garage could have the door on the front. Similar to the Brandon A, this open concept 2 bedroom home plan works well for retirement.The over size 1 car garage has storage above. This plan is designed for a frost wall and insulated slab. If you like we can increase the size of the garage or add a basement. This attractive 2 bedroom should be called "Journeys End". It's the perfect retirement home and has it all. A beautiful exterior, and an interior that has a large open concept living area with a cathedral ceiling, a great kitchen layout with a large pantry, an optional fireplace and T.V. wall, and an oversize garage. 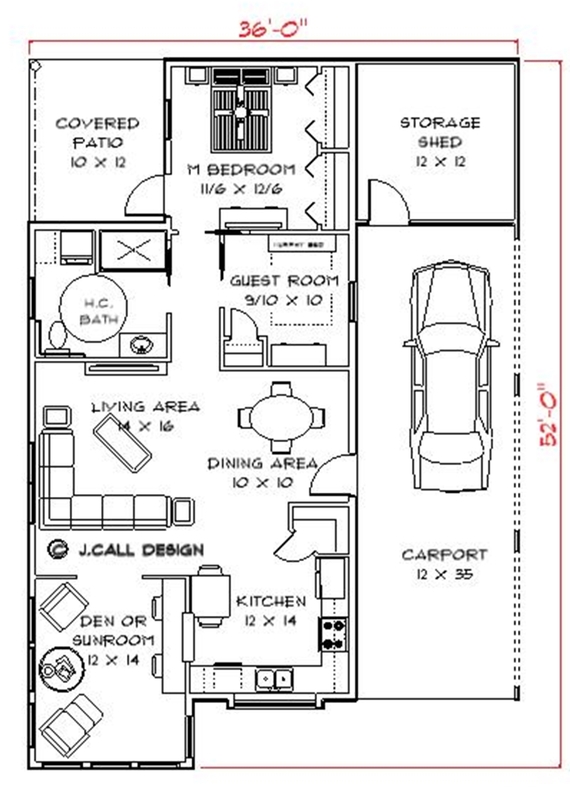 This plan has a full basement, so it could have room for a third bedroom, rec room or home office, and another bathroom. 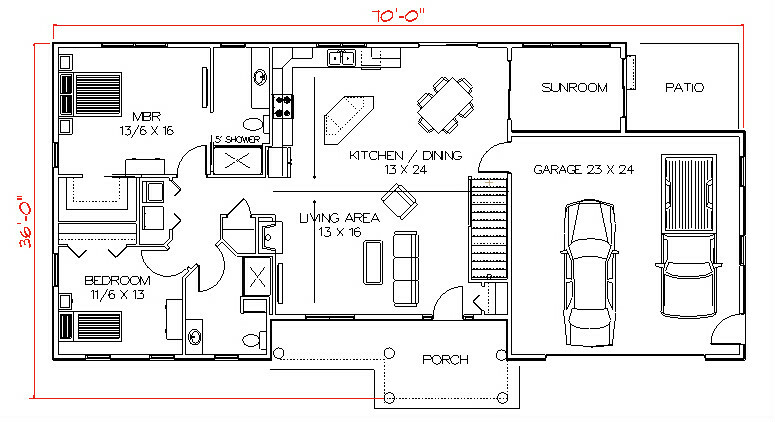 We also have a 1442 sq.ft. version of this plan. This home is available for viewing. Just call for an appointment. 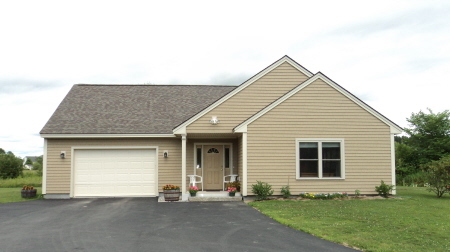 This 2 bedroom retirement style country ranch home is a lot of value for the money. As with most of our ranch home plans the open concept makes this feel bigger than it actually is. If you wish we can add an optional cathedral ceiling in the living section. 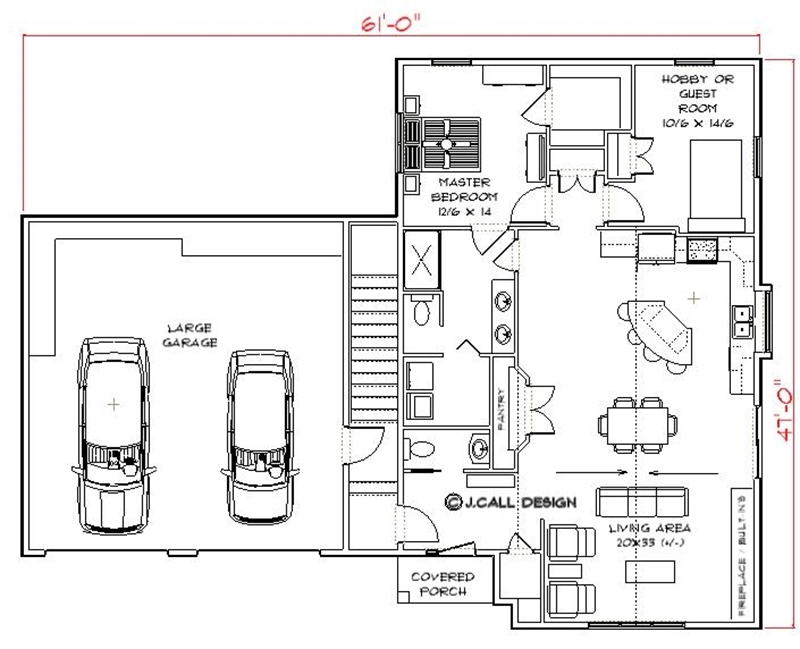 This plan has a full cellar with easy access from the 1 car garage or the outside. This 2 bedroom retirement style country ranch home is a lot of value for the money. As with most of our ranch home plans the open concept makes this feel bigger than it actually is. If you wish we can add an optional cathedral ceiling in the living section. It has a comfortable 2 car garage with easy access to storage above. 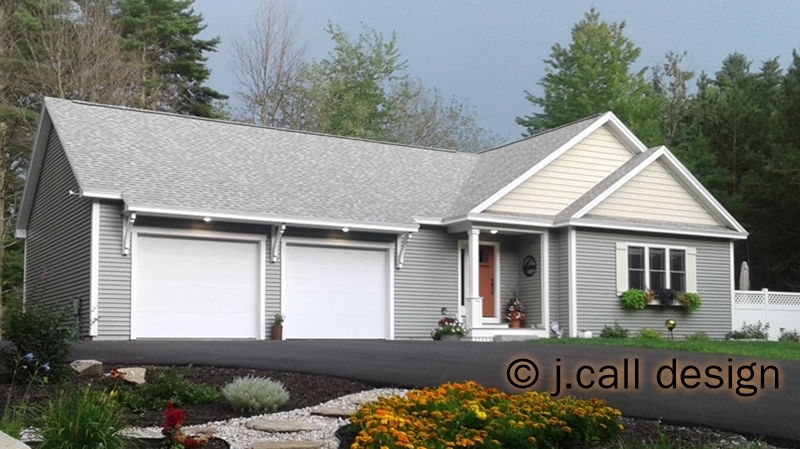 This home is on a frost wall and insulated slab. 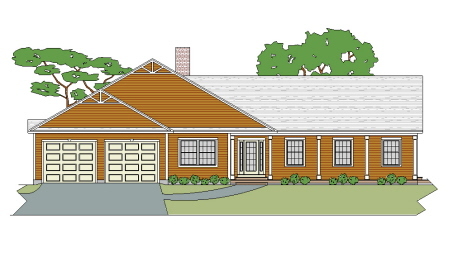 This 2 Bedroom retirement style country ranch home plan has a cathedral ceiling in the open concept living area making it feel much larger than it actually is. It has 2 Bedrooms and a den for easy retirement living. The 2 car garage has a separate utility room. 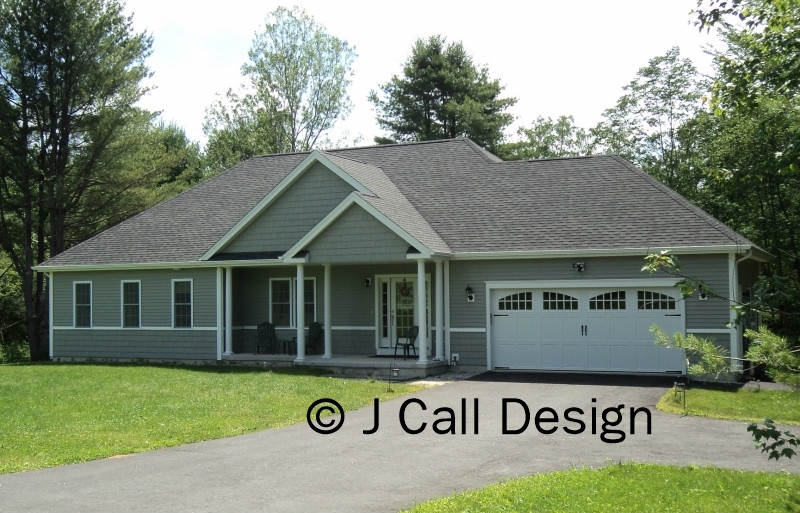 This attractive retirement style country ranch home plan with a covered porch looks more like a cape cod or cottage style home, but it's a ranch. The great first floor plan has an open concept living area with a double sided fireplace between the kitchen and living room. This plan has a full cellar. 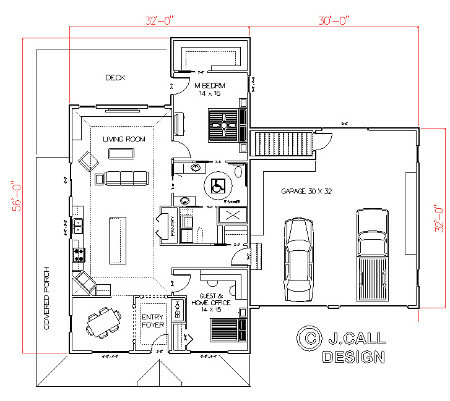 If you like this plan but would like a usable room over the garage please see our Greenwood B plan. 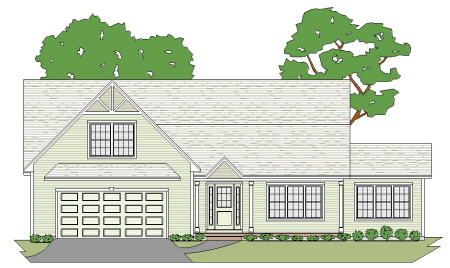 This attractive 2 bedroom country ranch home plan will fit in in any neighborhood. 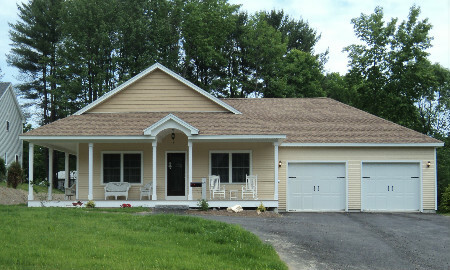 Great curb appeal on the outside and an open concept floor plan with comfortable room sizes considering the small size. The 2 car garage could be enlarged in the area shown as a patio. 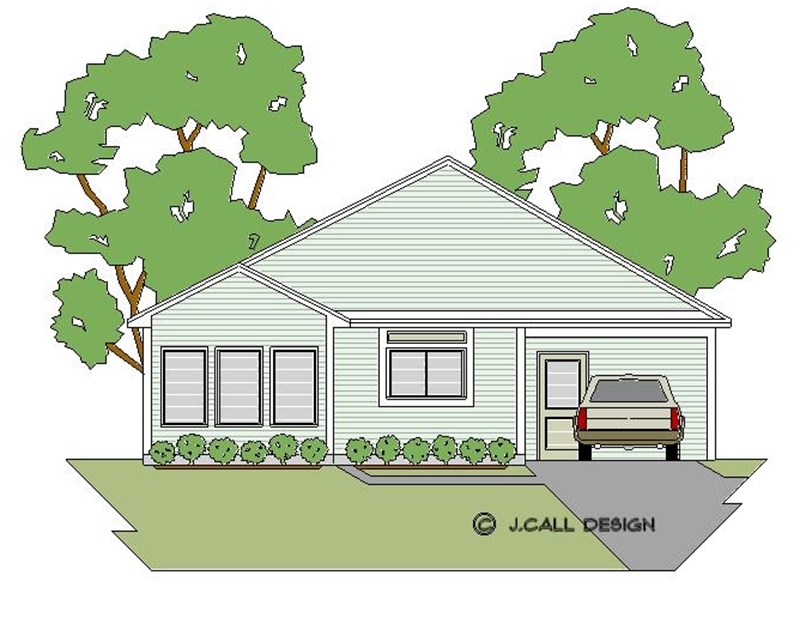 This two bedroom 2 bath retirement style country ranch home plan with a covered porch has an open concept living area with a tray ceiling, a great floor plan, and a covered porch or screen room out back. The 2 car garage has a utility room. The comfortable 2 bedroom retirement home plan has a wrap around porch and a large 2 car garage with our easy entry to the cellar. The floor plan amenities include a nice foyer, and open concept living area with a tray ceiling, a large home office or den, a large master bedroom, and a handicap accessible bathroom should you ever need it. 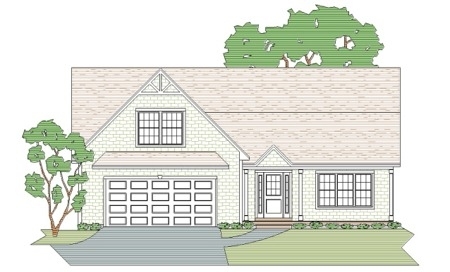 This attractive hip roof 2 bedroom retirement style country ranch home plan has an open concept living area, a one car garage with easy access to the full cellar, a covered porch, a screen room or sun room and a patio. 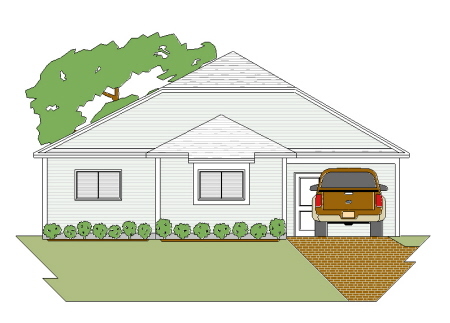 This 2 bedroom retirement style country ranch home plan has a covered entry, an over sized 2 car garage, open concept living space with a tray ceiling and a large pantry in the kitchen, a master bedroom suite with a large walk in closet, a guest room and a den. 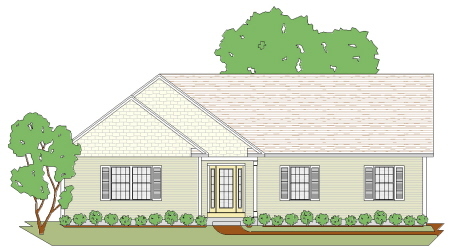 This adorable 2 bedroom retirement style country ranch home plan is similar to our Greenwood A plan. In addition to the same great first floor layout and decent size garage this plan has the added advantage of a game room or spare bedroom for the grandkids over the garage. Are you a car guy? 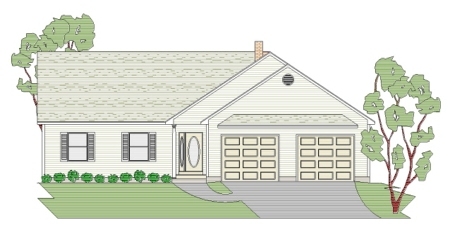 If so, this 2 bedroom retirement country ranch home plan with a 4 car garage could be just what your looking for. Easy access from that garage to the basement too. 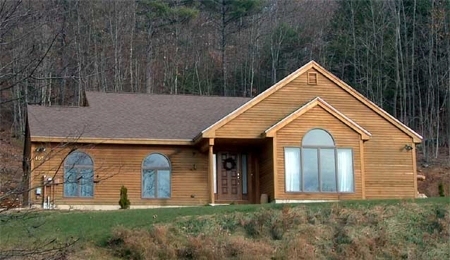 The covered porch, large open concept living area and large bedroom should please the wife as well. 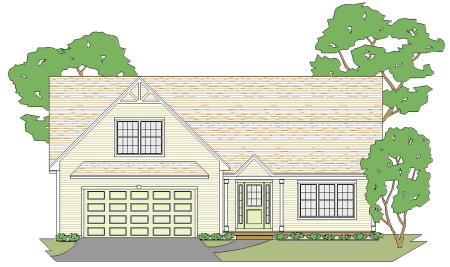 This plan has all the amenities as our Greenwood series 2 bedroom retirement country ranch home plans, with the added plus of a sun room or screen room off the kitchen. Open concept living, and a 2 car garage with a room or storage above. 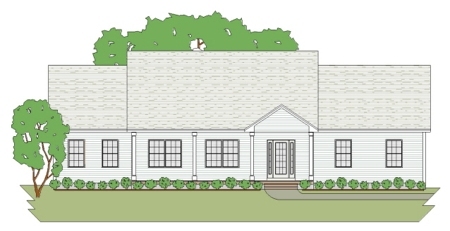 With the steeper roof this looks more like a cape cod home than a 2 bedroom retirement style country ranch home plan. It has farmer's porch and a nice foyer to welcome your company, a living room with a tray ceiling, a country kitchen, a nice master suite, a guest room and a 2 car garage. 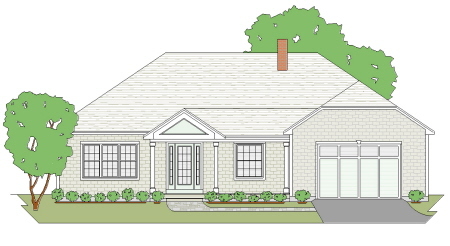 This 2 bedroom retirement style country ranch home plan is just about identical to the Ashmore A, except it doesn't have the sun room. Instead it has a much larger open concept living area with a tray ceiling. This plan also has a full basement. 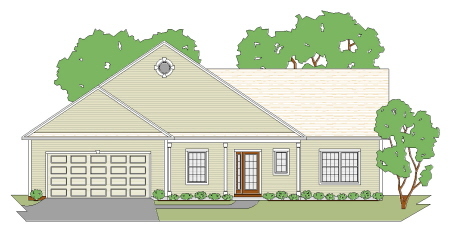 This 2 bedroom retirement style country ranch home plan has nice amenities,starting with a full length farmer's porch, a very comfortable garage, a nice entry foyer, open concept living, a great master suite, a spare room, a den or home office, a second full bath, and a sun room. This home also has a full basement.